What a super term of learning and exciting opportunties we have had. We finished today with a lovely Easter assembly. Thank you to Mr Turner for coming along from Trinity Church and sharing a story with the children. The pupils sang some lovely songs and some children shared their thoughts about Easter. Dr Bike came along to close our ‘Big Pedal Challenge’ and to complete the prize draw. The first winner chosen in the prize draw will be put into a final prize draw to win a bike! Dr Bike had some more prizes too! Thank you. Well done to all who took part in the Big Pedal challenge. We will continue after the holidays to encourage pupils to walk, scooter or cycle to school. Look out for our challenge after the holidays! The next Parent Council will take place on Thursday 25th April at 7pm. We welcome all parents and carers to join. Have a lovely, restful holiday and we will see you on Tuesday 23rd April. This entry was posted in All Classes on 05/04/2019 by centralps. Our Primary 2 ,3 and 4 pupils are participating in a National Literacy Trust Project where fostering an enjoyment of reading is the core aim. The pupils will take part in 3 different literacy events to promote this. This week the children have been involved in activities focussing on ‘The 3 Little Pigs’. Primary 1 pupils joined in with the learning experiences also. The classes were split into 5 groups and went to a different activity each afternoon. The event ended on Thursday when the pupils had the story read to them in another language, German or Portuguese. building straw, brick and wood houses. After Easter these books will be kept in class for the children to enjoy during school time. At the 3rd event the pupils will choose a book to keep. The final event will take place at the Retail Park on Thursday 9th May; the businesses will host different literacy events such as a story teller and ‘snack and story time’. The National Literacy Trust are providing the funds for the books and will cover the cost of transport for the Retail Park. 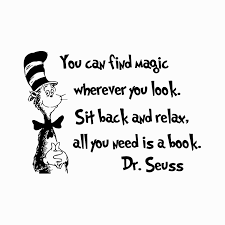 We encourage pupils to read a variety of books at home and in school to help them develop a love for reading and further enhance literacy skills. This survey will be used to review the School Streets project. The data provided through this survey will be used in project reporting and may be used to support local and national funding bids. Well done to P5 for winning #PlasticFreeFriday and winning a smoothie bike session. We are going to continue the challenge after Easter holidays. An exciting reward is waiting for winners! Remember to recycle crisps packages and beauty products. What a super week we had at Loch Eil. All pupils had a blast. We were incredibly proud of how well they represented themselves and Central School. All pupils faced new challenges and showed great determination throughout the activities. It was lovely to see the pupils mixing with children who they will be joining in 1st year. Here are some photos of the trip. We have lots more pictures to add and will upload throughout this week. This entry was posted in All Classes on 01/04/2019 by centralps. We are partnering with TerraCycle to ensure that personal care and beauty products are recycled. Garnier is committed to sustainable, environmentally-friendly beauty and have launched the Garnier Personal Care and Beauty Recycling Programme, which allows us to recycle all you beauty products. TerraCycle will take into account all of the parcels that have been received at the warehouse between the 25th of March 2019 and the 5th of July 2019. Therefore it is advised we send the last parcel no later than the 21st of June 2019. The recycling box will be located in the school office. This entry was posted in All Classes on 29/03/2019 by centralps.